I’m not quite sure how to summarize this and struggled as to whether or not to even post about it, but I realized if I don’t, I feel like I’m holding something back and that’s just not me. A few weeks ago we added another four-legged member to our family. Although we weren’t really searching for another dog at the time, I always thought that when the time was right we would get a second dog to be a buddy and playmate for Darby. 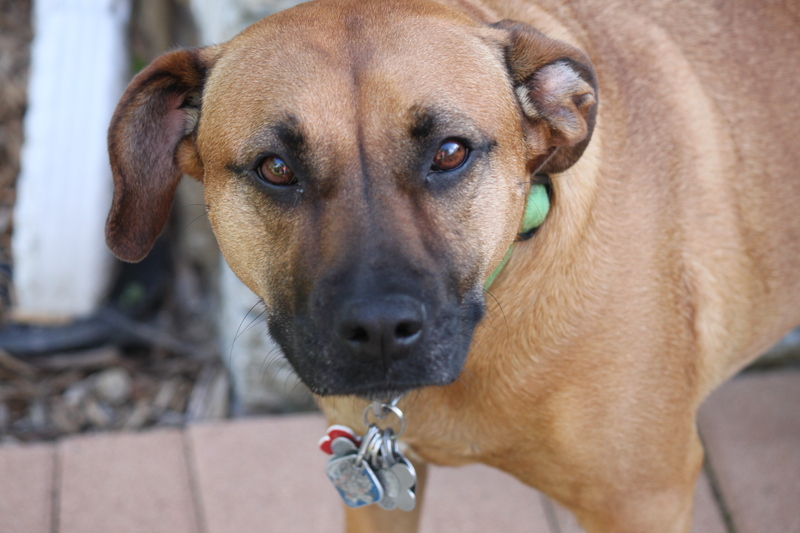 We learned of Jake, another rescue dog needing a home (Jake’s story), while Darby was staying at the Lucky Dog Pet Lodge for a few days in August. When they first started to describe him my ears perked up. I asked the owner and staff to pay attention to how Darby and Jake got along. Turns out they got along great. 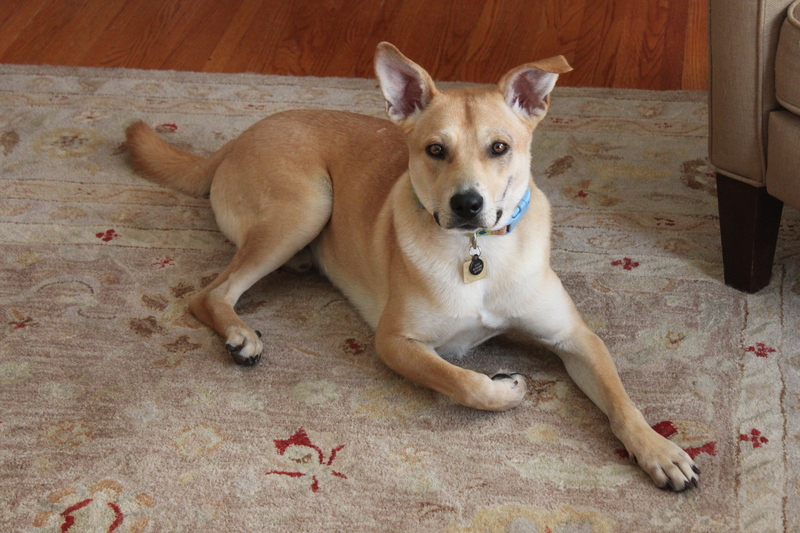 In addition to his good looks, Jake is very smart, very sweet and became best buds with Darby. It seemed like a no brainer. So after submitting an application and having a home visit, Jake was ours. We were all so excited to have Jake as part of the family, but Darby was the happiest by far. She immediately went from bored to exhausted and had a puppy smile so wide her eyes nearly touched her ears. She was in heaven! We’d brought her buddy home. The two of them are like two peas in a pod. 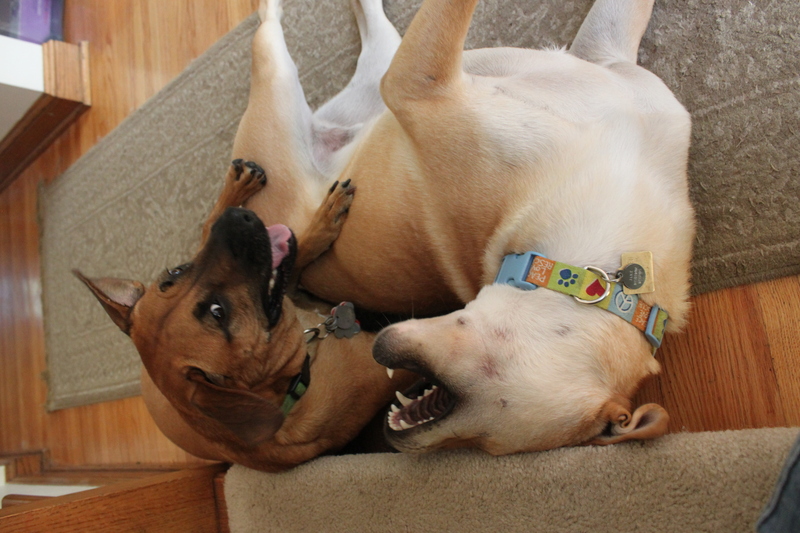 They play extremely well together, mellow out when it’s time and are really well-behaved. Well, Jake’s almost really well-behaved. He’s still learning that the furniture isn’t a launch pad, that shoes are for feet and that anything on the counter is off-limits, but considering he’s only 1-year-old, that’s kind of to be expected. That night, however, things took a turn for the worse. In the middle of the night she had decided to move from her dog bed in the living room to come snuggle with me on our bed. She nudged me awake with her cold and damp little nose but I didn’t come around fast enough to help her up. Instead she tried to jump, and missed. She landed on her back on the hard wood floor. I knew immediately she was hurt but didn’t know how bad it was. She had staggered away defeated, but I brought her up on the bed, gave her more of her pain meds and snuggled her and tried to comfort her all night. The next morning she woke me early (completely uncharacteristic of her). To my dismay, when she tried to get up, her back legs dragged behind her. The tears immediately began streaming down my face. She couldn’t walk. No!!!! This poor thing has already been through so much. She just recovered from getting hit by a car only 2 months earlier and now here we are again. Only worse. After another visit to the vet and an addition of two more meds, I had high hopes for a quick recovery. Instead, we use a towel to support her belly to help her use her back legs while she tries to walk. And if she’s not feeling up to tackling stairs, she gives us a look as though saying “I could us a little help here.” and we carry her up or down. Despite all of that I’m confident she’ll recover. She’s a tough girl. She’s already been through so much in her life. She has an amazingly strong will and I know she can get through this. Oh, no! Sweet Darby. I hope she heals quickly. Poor thing. I know that clinic. They did wonders for Cat #1. They are good with dogs, too ….. The vet school wanted to integrate their administrative silos and put their multiple offerings / services on an iPhone app. So they called the Twin Cities iPhone Wanna-be’s (my name for the pushing 300-member local user group). I went over. Did the walk and talk thing. They still have their act together and their heart in the right place. Sure sounds like the best place for an answer. Gotta love our critters and do what we can for them. Oh that poor dog! I hope they can get her back on the road to recovery.